Selamat Jarin! We return! Let us begin today by reviewing what has transpired so far. As you know, our Earth allies have set up the basis for a new monetary and financial system and the Agarthans have used their diplomatic skills to establish the nucleus of the new governance that is to be run by a coalition under the auspices of your Ascended Masters. The Ascended Masters under the guidance of Quan Yin in the East and Count Saint Germaine in the West have ensured that a new system of banking and monetary policy is emerging. These changes are intrinsic to the sacred decrees which are preparing this world for our mass landing. These divine directives are guiding us as we establish a way to set up the new reality for surface humanity. Freedom is a necessary condition for all that is planned and your realm is on an accelerated path to creating those prerequisites for your return to full consciousness. Our many liaison teams are monitoring everything and meeting every day with those who are to forge your new governance. As of now, these many programs have put all the necessary elements in place. permitted to create a simpler means of achieving this goal. At the right time, each of you can access your individual Light chamber waiting for you in Agartha, and during three days of slumber be returned to your original state of full consciousness as physical Angels. Once you have secured your glorious new state of consciousness you will be eligible to rejoin the Galactic Federation by re-creating your former star-nation. In this the Agarthans will be your main guides together with your various Ascended Masters. Your first challenge after returning to full consciousness will be to set up your own galactic society, and part of this includes relocating those whose life contracts provide for this to the reconstituted worlds of Mars and Venus, and also the reconstructed planet of Pax (aka Maldek), which now lies in fragments between Mars and Jupiter. Your new star-nation is to become a herald of change for the former Anchara Alliance as these many new star-nations need a template for expanding their consciousness to its fullest levels. In accordance with this, you will be assisting many Galactic Federation members who are fully conscious versions of the multitudes of Dinosaurians, Reptilians, and Amphibians who now deeply desire to develop full-consciousness Light bodies. Heaven has mandated that this become your first mission as you begin to spread Light throughout the galaxy. These first tasks which you will be carrying out as physical Angels are fundamentally vital as they will make the galactic peace permanent. It is a sacred task which will prepare you to be a most welcome addition at Federation conferences. We fully expect your new star-nation to provide the core of many Space & Exploration fleets which are to explore the far reaches of this sector of physicality. 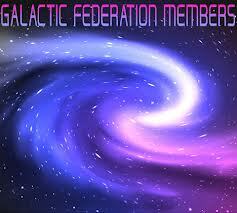 In this capacity you will carry out many of the mission objectives that are part of first contact. In effect, you will be doing what we are now doing to accelerate your transition into the wonders of full consciousness. In fact, we see you shortly becoming masters of a first-contact mission, and all that that implies. In this way, what we are accomplishing here with you will be reciprocated by you many times over. The primitive 3D realm you now occupy is shortly to be transformed into one that allows you to return to the stars, and this fulfillment of your divine destiny will bless you in ways that are well beyond your present abilities to envision! Blessings, dear Ones! We are your Ascended Masters! Many wonderful events are ready to happen. Gaia is prepared to step up the energies that she daily disburses among all her living creatures and ecosystems. These additional energies, which further accelerate your consciousness shift, could be seen as divine proof that you are being blessed by Heaven! Your sacred world has long been hidden within an especially manipulated shadow realm controlled by the dark cabal. Now, however, these new energies are ready to push you out of this dark dwelling space and into the Light. We are very pleased and Heaven is continuing to use her blessings to move you ever closer to the Light and toward your new more-conscious reality. Know that these shifts are inevitable! A series of events is upon you which will move you to the brink of a new reality. These events are celestial in nature and are harbingers of truly amazing circumstances! They are to bring you prosperity and freedom! The Agarthans are assisting us to prepare a way for us to be introduced to you. These introductory announcements will be made by the secret sacred societies and many vital Truths will also be elucidated at that time. The dark has long packed your minds and your societies with half-truths as well as outright lies, and these need to be corrected. You will shortly be in the company of those who have long known about your true origins and your real history. The divine plan requires that you be apprised of these facts and that you learn how you became reduced over time, and no longer able to easily converse with Heaven. This broken connection of yours requires our immediate attention. You are in a transitional stage and our purpose now is to use our abilities to shift you easily into a new reality. Your reality is scheduled to be swiftly upgraded by the introduction of a vast range of Truths which you are required to assimilate. The time has come to do so! Each day Heaven sends us great blessings. These ‘blessings’ are intended to make us more aware of where we are going and how quickly the divine plan intends to get us there. We are jubilant and wish to say that all of you have the innate ability to shift swiftly to higher states of consciousness. We are just waiting for Heaven’s ‘go’ signal. The final series of events is ready to happen and bring us into a new Light. This Light will unleash an unending prosperity and bring a raft of new responsibilities for us all. Societies do not tend to change rapidly unless a new set of beliefs is taken up and readily espoused by a group of dedicated and passionate Beings. Our mission with you is to guide you, at the right divine moment, to the point where this passion, combined with sacred Truth, forges your new world. We would remind you, peace and Truth lie within. Be Love. Be Wise. Be Aware.